Officials with the Washington State Patrol say one man was tragically killed and another was injured in a head-on crash on Highway 2 near Snohomish Tuesday evening. 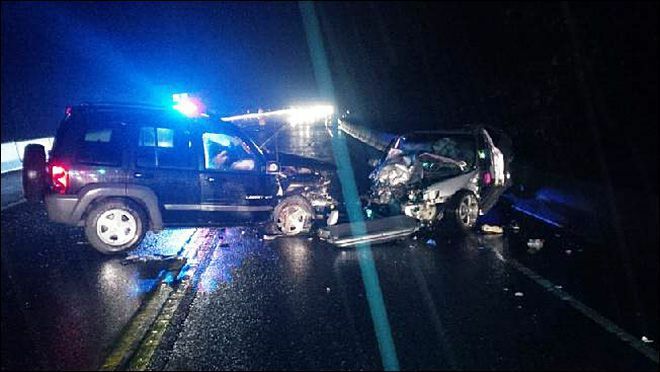 According to KOMO, the WSP received multiple reports of a multi-vehicle crash on Highway 2 just outside of Snohomish at approximately 11:30 p.m. Troopers responded to the scene to find the wreckage of a Honda Accord and Jeep Liberty. Allegedly the Accord crossed the centerline and crashed head-on with the Liberty. The driver of the Honda, identified as 37-year-old Andrew Baskins of Marysville, was immediately rushed to Colby Hospital in Everett to be treated for life-threatening injuries. He arrived at the hospital in critical condition and was pronounced dead from his injuries early Wednesday morning. The driver of the Jeep, a 77-year-old man from Monroe, was injured in the crash and taken to a nearby hospital to be evaluated and treated. There was no additional information regarding the extent of his injuries or his condition at the hospital. Both vehicles were totaled in the crash, and troopers say Baskins was not wearing his seatbelt at the time of the car accident. Trooper Keith Leary says the man may have survived had he been wearing his seatbelt. It wasn’t clear what caused Baskins to cross the centerline of the highway, and troopers are still looking into whether drugs or alcohol may have played a role. There could be a number of factors that could cause a driver to cross into the opposite lane of a highway and hit another driver head-on. Regardless of the cause, a driver who hits another vehicle head-on is likely to be held liable for the injuries and other damages caused to any victims. From a legal standpoint, investigation into all possible contributing factors will be important in building a personal injury case and filing a claim against any insurance companies involved.